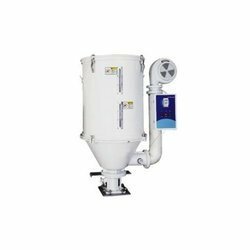 Importer of a wide range of products which include hoppers and hoppers dryers. Keeping in mind ever-evolving requirements of our valuable clients, we are offering an exclusive range of Hoppers And Dryers for Automobile Industry. 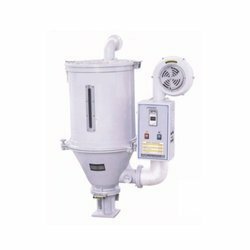 These hoppers & dryers are developed utilizing high grade component, procured from reliable sources of the industry in compliance with international standards. We provided these hoppers & dryers in diverse specifications to choose from. Offered hoppers & dryers are tested on various predefined quality parameters to ensure flawlessness ay users’ end. Backed by the rich industry experience and knowledge, we are offering an excellent range of Hoppers and Dryers. Owing to their striking features, these products have become the preferred choice of the customers. These products are completely manufactured at vendor’s ultra-modern manufacturing unit using the superior quality components and innovative technology in compliance with defined quality standards. Being a quality-oriented organization, we assure our clients these products are excellent on counts of durability and quality. Looking for Hoppers and Dryers ?